They’re not followers. They’re leaders. Happy Thanksgiving Everyone! Today is Turkey Day which means generous servings of gravy, stuffing and the NFL. 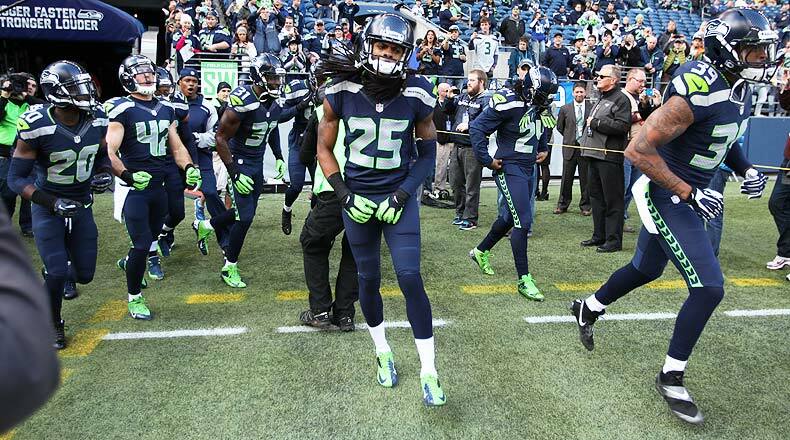 In the final of today’s 3 nationally televised games, the Seattle Seahawks will take on their much despised NFC West rivals, the San Francisco 49ers. This game is of utmost importance to both teams as each finds themselves tied for second place in the division behind the 9-2 Cardinals. With the Seahawks defense returning to Super Bowl form last week, the defending champs are back to playing with the same fire that propelled them to the best record in the league last season. While the Hawks are coming off their best win of the season, the 49ers have struggled in their past two games, barely squeaking by the lower rungs of the NFL. It will prove to be a Happy Thanksgiving- if you’re a Seahawks fan anyway- as they will win this one going away.